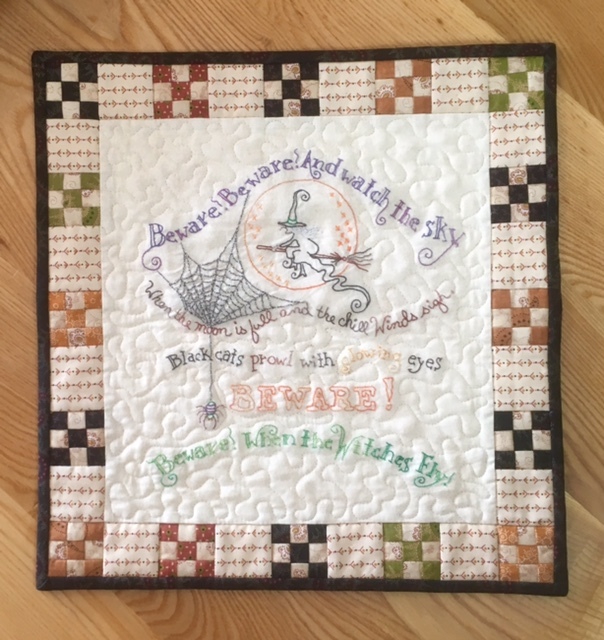 Quilting Adventures: When Witches Fly ....! That is a fun little quilt. I need to get organized, but lately it seems time flies by and I can't get half of what I planned, done, so need to organize my time better. I love anything Crabapple hill, but especially Halloween & Christmas themed! I'm working on Dance By The Light Of The Moon right now! 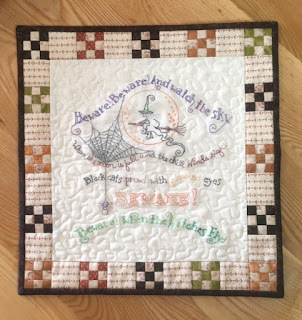 Love how you finished this quilt! Oh that is so cute! Love it. It's adorable Carole and your stitching is the best.